THE COASTGUARD IN the UK has confirmed that debris found in a search off the coast of Antrim is from an aircraft missing since yesterday. The Coast Guard has said in a statement that police are providing assistance to the families involved and that it will not be providing any further information at this time. The RNLI and the Northern Irish authorities also assisted in the search. Five RNLI lifeboats were launched last night from Larne and Red Bay in Northern Ireland and Portpatrick in Scotland as part of the extensive search. The craft is understood to have two people onboard when it was reported missing off the Northern Ireland coastline. The plane was last seen near Cushendun in Antrim, having taken off from Derry City Airport for Scotland. The RNLI launch was requested by the coastguard when the aircraft was reported overdue at 8.30pm and a major search operation was put in place. 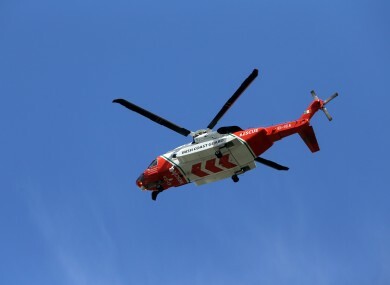 Joining the five RNLI lifeboats in the major search were the Irish Coast Guard Helicopter Rescue 116 along with a rescue helicopter from Glasgow Prestwick and local coastguard teams. Search conditions were described as extremely challenging as visibility was poor due to thick fog. Larne RNLI launched their all-weather lifeboat and D class lifeboat, Red Bay RNLI launched their Atlantic 85 and all-weather lifeboat along with the all-weather lifeboat from Portpatrick. Email “Debris of plane missing off the coast of Antrim found”. Feedback on “Debris of plane missing off the coast of Antrim found”.